The Mourne Motorcycle Club held its eighth annual charity motocross-racing event at Ballynahinch on Wednesday, June 18. The Mourne club held its first charity motocross racing event in 2007 to raise funds for the Northern Ireland Children’s Hospice, Belfast, but since 2008 club members have chosen two local charities to help each year. 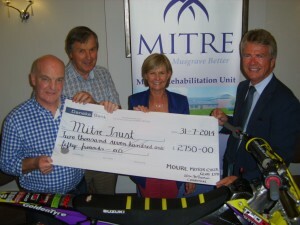 This year club members decided to raise funds for the Ballynahinch Branch of Cancer Research and the Mitre Trust Spinal Injuries Unit, Musgrave Park Hospital. 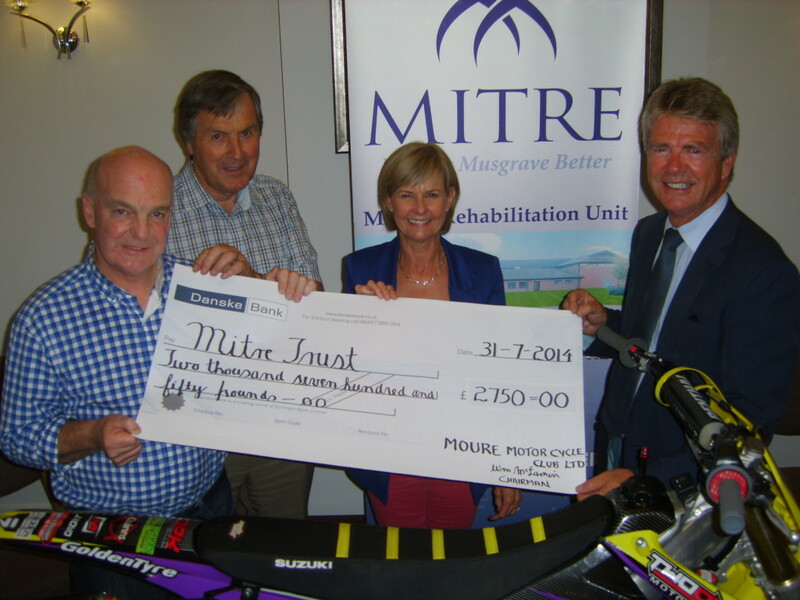 Following their latest successful charity event the Mourne club raised £5,500 to be shared between the Ballynahinch Branch of Cancer Research and the Mitre Trust Spinal Injuries Unit. In eight years of running charity grasstrack events the Mourne club has now raised and presented more than £60,000 to charities and charitable causes.